Is our economy strong if the stock market soars and corporate profits hit new highs, while working people’s earnings stay flat and their jobs are unstable? A critical issue in this discussion is that we lack good measures of economic progress that include the share of good companies offering good jobs — jobs with good wages, benefits, stability, and opportunities for advancement. And it’s important not only for workers but also for businesses; employees who have good jobs are more engaged, more productive and more likely to stay. 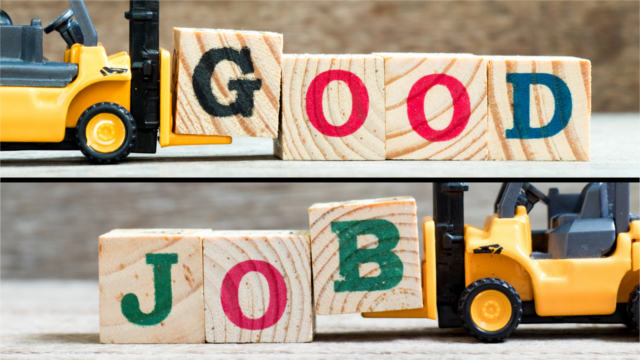 On October 29, the Economic Opportunities Program’s Good Companies/Good Jobs Initiative, in partnership with Working Metrics, unveiled a new tool that assesses businesses’ job quality performance for frontline workers and benchmarks them against others. The Working in America event included a presentation on this innovative new tool and discussion with businesses who contributed to it and used it to improve their practices. 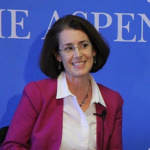 Maureen Conway serves as Vice President for Policy Programs at the Aspen Institute and Executive Director of the Institute’s Economic Opportunities Program. Maureen founded EOP’s Workforce Strategies Initiative and has headed up workforce research at the Aspen Institute since 1999. 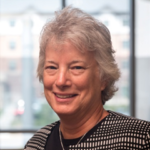 She is a nationally recognized expert in sectoral workforce development and is the author of numerous publications, including co-editing the book Connecting People to Work: Workforce Intermediaries and Sector Strategies. Her current work includes documenting and evaluating promising innovations in strategies that seek to improve job quality for lower-income workers while also helping workers to improve their skills and businesses to thrive. Maureen holds an M.B.A. from Columbia University, where she was a Samuel Bronfman Scholar, a Masters in Regional Planning from the University of North Carolina, and a B.A. in Economics and Mathematics from Holy Cross College. Patrick Gross is Chairman of The Lovell Group, a business and technology advisory and investment firm. Through The Lovell Group, he is advising half a dozen private technology and internet commerce firms. Previously, he spent three decades with American Management Systems, Inc. 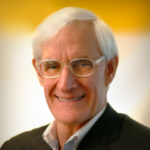 He founded AMS in 1970 with four colleagues from the Office of the Secretary of Defense and built it to a $ 1 billion company with 7,000 professionals throughout North America and Europe. He is currently a director of four public companies: Capital One Financial Corporation, Career Education Corporation, Liquidity Services, Inc., and Mobius Management Systems, Inc. He is also a director of several private companies including Sarnoff Corporation and Development Alternatives, Inc. His other leadership positions include Trustee and Chairman of the Research and Policy Committee of the Committee for Economic Development, Vice Chairman of the Council for Excellence in Government, Chairman of the Intergovernmental Technology Leadership Consortium, and cofounder and past chairman of the World Affairs Council of Washington, D.C. He is and has been a director/trustee/board officer of several educational institutions, hospitals/health care organizations, and economics and public policy organizations. He is a member of the Council on Foreign Relations, the International Institute for Strategic Studies, and the Economic Club of Washington. Arlene Koth, vice president of administration and human resources at Triversity, has over 19 years of experience in human resource management and organizational planning. As a member of TriVersity’s executive leadership team, she is instrumental in shaping the company’s business strategy and determining how to best use the company’s diverse talent-base to provide exceptional and consistent customer experiences. In her talent management role with TriVersity she plans, develops, implements and administers the talent management function including staffing, employee onboarding, education and training, management development, benefits administration, organizational development and more. Additionally, she leads the corporate operations and is the corporate secretary. Prior to TriVersity, Koth was the executive vice president and COO for Downtown Cincinnati Inc. (DCI). Koth received her B.A. in communications from the Union Institute and University and is certified as a senior professional in human resources. Ken Macon is the Director of Strategic Sourcing at TriHealth in Cincinnati, Ohio, where he manages over $500M in supplies and services for the health system. TriHealth provides clinical, educational, preventive and social programs through two acute care hospitals and more than 130 sites of care. TriHealth, with 11,500 team members, is one of Cincinnati’s largest employers. 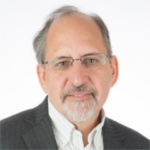 Ken is a supply chain executive with over 30 years of experience in Sourcing and Supply Chain Management in various industries including aerospace, telecom, and consumer packaged goods as well as senior level Supply Chain roles in health care. Ken has led and directed high performing supply chain organizations at Mercy Health and now at TriHealth establishing strategic sourcing processes for supplier selection and supplier management while driving out cost. Ken has led his organizations in developing system-wide supplier diversity initiatives and has been recognized as South Central Ohio Healthcare Supplier Diversity Advocate of the year in 2015. Ken holds a degree in Mechanical Engineering from Purdue University along with Certifications from the Institute of Supply Management (ISM), and Association for Healthcare Resource and Materials Management (AHRMM). Mark Popovich joined the Aspen Institute Economic Opportunities Program in December 2016 and serves as director of the Good Companies/Good Jobs Initiative and co-leader of the Job Quality Fellowship program. Mark previously served as Vice President for Program at The Hitachi Foundation, where he led the team managing the Good Companies @ Work program. The program focused on exemplary employers as they create pathways to greater prosperity and career advancement for frontline workers. Before joining the Foundation, Mr. Popovich co-founded The Public’s Work, a consulting practice serving clients from the foundation, nonprofit, and public sectors. Over his career, Popovich was also a senior advisor to a state senator, governor, and congressman. At the National Governors’ Association, he was a senior staff member on energy and environmental issues. And he was a senior research analyst at the Council of Governors’ Policy Advisors focusing on economic, community, and rural development. Popovich continues his thought-leadership roles within the Economic Opportunities Program through regular blogs on economic and labor market conditions, standards and protections for workers, the role of impact investment in influencing business choices, and on the future of work. 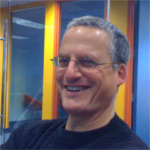 A pioneer in online collaboration and information sharing, Larry is the Founder and CEO of Working Metrics. Business leaders repeatedly say: “our employees are our most important asset.” As an executive of multiple technology companies, Larry has learned this first hand. He formed WM to make it easy for companies to measure how well they are managing this critical asset. 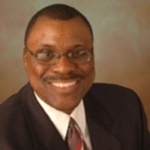 Prior to WM, Larry founded Bantu, Inc. one of the first providers of secure instant messaging for businesses. Its software connected US Air Force, Army and Navy personnel, for which Larry won a FED 100 Award. Before that, Larry was President of IntraACTIVE, Inc., an early leader in the Web collaboration market, IntraACTIVE was acquired by Mail.com in 2000. Before joining IntraACTIVE, Larry served as Vice President and General Counsel for National Strategies Inc., a telecommunications consulting firm, and as a lawyer at the firm of Shea & Gould. Larry has served on the boards of the Edmund Burke School and the No Rules Theater Company. 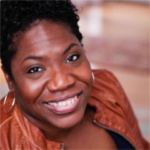 Janice Urbanik is Senior Director of Innovation and Strategy for the National Fund for Workforce Solutions. She leverages her past experience as the Executive Director of Partners for a Competitive Workforce in Cincinnati to help other National Fund sites achieve their full potential. Janice also facilitates the Employer Roundtable of the Cincinnati Child Poverty Collaborative where employers learn from other employers about the policies and practices they can implement to improve recruiting, retention and advancement while also building competitive advantage in their industry. Janice and her work teams have been recognized nationally for their work in assisting under-represented populations attain and retain employment in growing industry sectors in the region. Janice also serves on the Boards or Leadership Councils for Womens Fund of the Greater Cincinnati Foundation, and Jostin Construction. She is a proud member of Leadership Cincinnati Class 40. Janice is also heavily involved in efforts to increase the number of women and girls in non-traditional careers, such as starting the Rosie’s Girls program in Cincinnati in 2007. Janice began her career at Procter & Gamble. 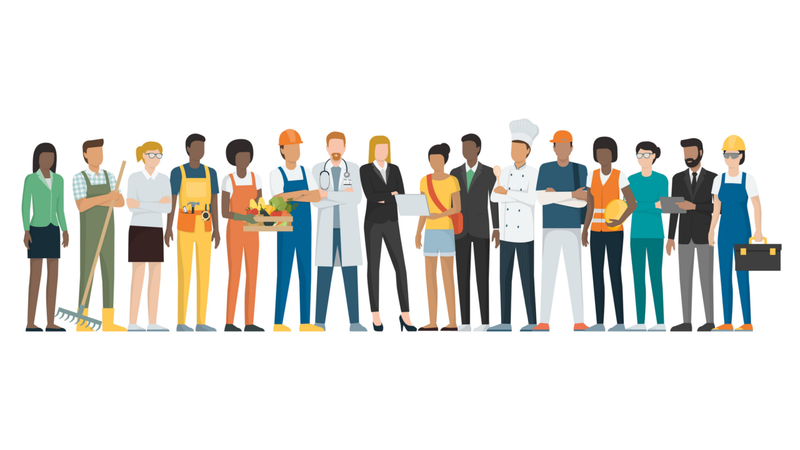 Tweet On Oct 29, @AspenWorkforce & @workingmetrics will unveil a new tool that assesses businesses’ job quality performance for frontline workers and benchmarks them against others. Tweet Running a company with job quality in mind is good business, and a metric for quality jobs could improve decisions about where to invest, whom to lend to, and which companies to do business with. Tweet We lack good measures of economic progress that include the share of good companies offering good jobs — jobs with good wages, benefits, stability, and opportunities for advancement.